Since early October, the broader markets have been spiraling downward on concerns that more rate hikes and bigger tariffs would create a material drag on global economic growth. But over the past two weeks, those two major concerns have significantly receded, leaving some investors seeking out stocks to buy once more. Last week, Federal Reserve Chair Jerome Powell sounded a surprisingly dovish tone in a well-watched speech, with the broad implication being that there are only a few rate hikes left in the pipeline. Stocks jumped higher after that speech. 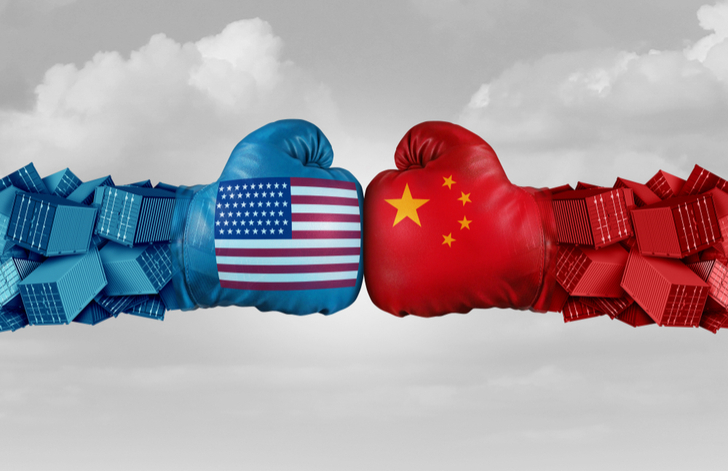 Meanwhile, over the weekend, the U.S. and China came to a truce and agreed to a 90-day pause in the current trade war. Stocks jumped in response to that news, too. Overall, the two major headwinds which have been dragging on markets since October are now significantly receding. That means it’s time to start getting bullish again, especially on the names that have been significantly weighed by the rate hike and trade war headwinds. Last week, I ran a piece on 10 stocks to buy for a rate hike slowdown. This week, it’s time to look at 10 stocks to buy with the trade war on pause. 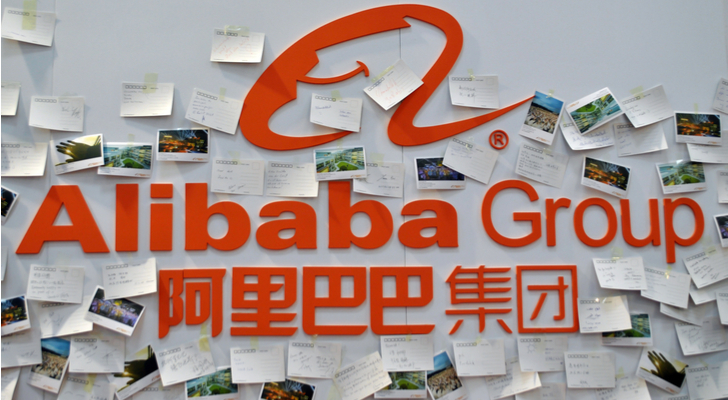 Why It Has Been Killed: China e-commerce giant Alibaba (NYSE:BABA) has dropped into bear market territory quite simply because it is China’s e-commerce giant. Trade war tensions with the U.S. have created economic uncertainty in China. That uncertainty is starting to show up in slower growth and output. Granted, the Chinese economy is still growing at a 6%-plus clip, but growth is showing a disheartening slowing trend which has kept investor enthusiasm checked. Alibaba, as the heartbeat of the Chinese economy, has suffered during this slowdown, too. Why It Will Bounce Back: Alibaba stock should rebound now that the trade war is on pause because that has been this stock’s single largest headwind. Outside of trade war noise, Alibaba has continued to report really strong numbers. Core commerce revenue growth last quarter was in excess of 50%. Cloud computing growth was 90%. Customer growth was robust, and while margins continued to struggle, that is just a near-term phenomena that is the consequence of growth-related investments. Overall, the growth story supporting Alibaba stock remains robust, so with its biggest headwind now on pause, this stock should rebound from its 20%-plus sell-off. Why It Has Been Killed: Consumer electronics giant Apple (NASDAQ:AAPL) lost its position as the most valuable company in the world over the past month as trade war headwinds have weighed on operations. Namely, iPhone demand this year is reportedly weak, especially abroad, and that is presumably a consequence of trade war friction. Meanwhile, President Donald Trump flirted with the idea of slapping tariffs on iPhones, a move which could further dampen demand through higher costs. Overall, the trade war has really struck Apple where it hurts: in the iPhone business. Why It Will Bounce Back: Apple stock should be able to rebound with the trade war on pause because, outside of trade war headwinds, the Apple growth narrative remains robust thanks to strong new hardware and software growth. The big problem with Apple has been iPhone demand issues, and those issues stem in part from trade war noise. 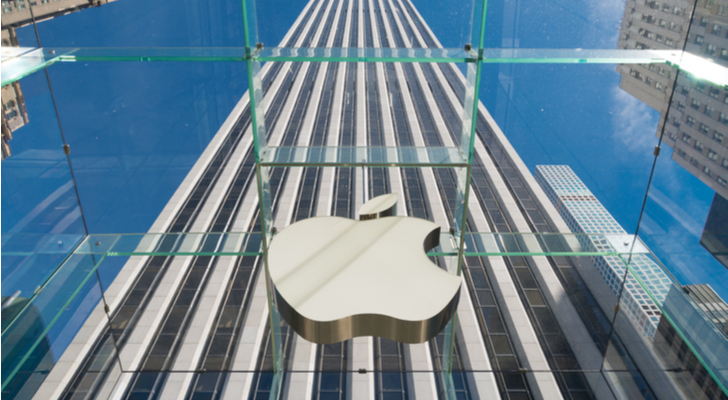 With the outlook on those issues improving, investors will take a more bullish stance on the now very cheap Apple stock (12 forward earnings), and this stock should rebound strongly. 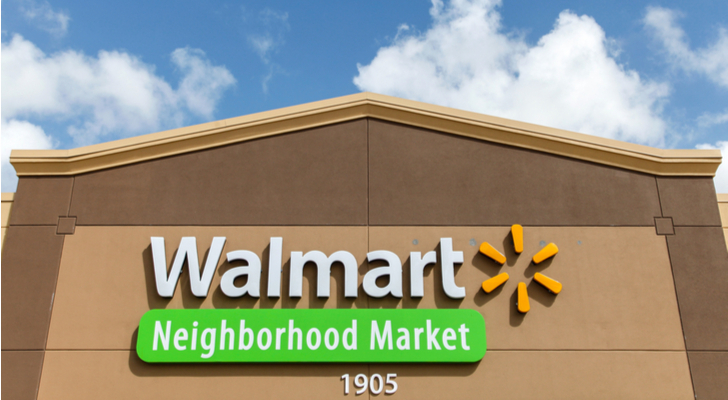 Why It Has Been Killed: The world’s largest retailer, Walmart (NYSE:WMT), has struggled over the past few months thanks to both rate hike and trade war concerns. On the rate hike front, investors were worried that higher rates would sap consumer enthusiasm and result in a retail sales slowdown that would ultimately drag on Walmart’s revenue numbers. On the trade war front, investors were worried that bigger tariffs would cause Walmart’s input costs to go up and ultimately drag on Walmart’s margins. Why It Will Bounce Back: The rate hike issue was cleared up last week, and Walmart stock bounced back. Now, the trade war issue is being cleared up this week, at least temporarily, and Walmart stock is again rallying. This rally should persist. Walmart is reporting its best numbers in over a decade right now against the backdrop of a U.S. consumer that is as strong as he/she has been since the Recession. Given those operating fundamentals, Walmart stock deserves to trade at all-time highs. The stock is still 10% off those levels. Thus, as trade war and rate hike headwinds move into the rear-view mirror, this stock should continue rallying. Why It Has Been Killed: The same things that have weighed on Walmart over the past two month have weighed on Target (NYSE:TGT). Higher rates threaten the underlying healthy of the U.S. consumer, while bigger tariffs threaten Target’s margins. Put those two concerns together in a market obsessed with a looming recession and you get a stock that has dropped 20% in a hurry. Why It Will Bounce Back: Target stock will rebound for the same reasons that Walmart stock will rebound. Remove the trade war and rate hike headwinds from this company’s fundamentals, and it’s tough to find anything wrong. Comparable sales and traffic growth are running at decade-high levels. The digital business has gone from zero to hero, and is growing at a near 50% clip. Margins are stabilizing. And, the early read on Black Friday and Cyber Monday sales is quite strong. Overall, there’s a lot to like about Target. Thus, with rate hike and trade war headwinds regressing, this stock will bounce back from its recent sell-off. Why It Has Been Killed: Industrial giant Caterpillar (NYSE:CAT) is often viewed as the heartbeat of the global economy. As goes the global economy, so goes Caterpillar. Thus, as the global economic outlook has substantially weakened over the past two months due to rate hike and trade war headwinds, Caterpillar stock has struggled. Why It Will Bounce Back: The numbers at Caterpillar remain pretty good. Last quarter, revenues rose 18% and the company reported its best third-quarter profit per share in company history. Thus, the recent sell off has nothing to do with what has happened, but rather everything to do with fears over what will happen. With trade war and rate hike headwinds retreating, the outlook for what will happen in the global economy over the next several quarters is dramatically improving. As that outlook improves, CAT stock should rebound. Why It Has Been Killed: E-commerce and cloud giant Amazon (NASDAQ:AMZN) was once the symbol of unstoppable growth in the stock market. But that has changed over the past few months as the company’s e-commerce business has dramatically slowed, especially on the international front (just 13% growth last quarter, versus 29% growth in the year ago quarter). This massive slowdown has a lot to do with trade war friction dampening global economic health, and thus, the trade war has been a big drag on Amazon stock. Why It Will Bounce Back: Everywhere else you look at Amazon, there is still a lot to like. Margins are heading higher. The cloud business is still growing at a 40%-plus clip. The digital ad business is still growing at a 100%-plus clip. Moreover, the company is making big moves into offline retail and pharma, both of which constitute huge opportunities for Amazon. Thus, the only thing not to like is the slowing growth trend in the international retail business. Retreating trade war headwinds will improve the outlook for that business to rebound. As that outlook improves, Amazon stock should bounce back because of robust firepower in all its other growth segments. 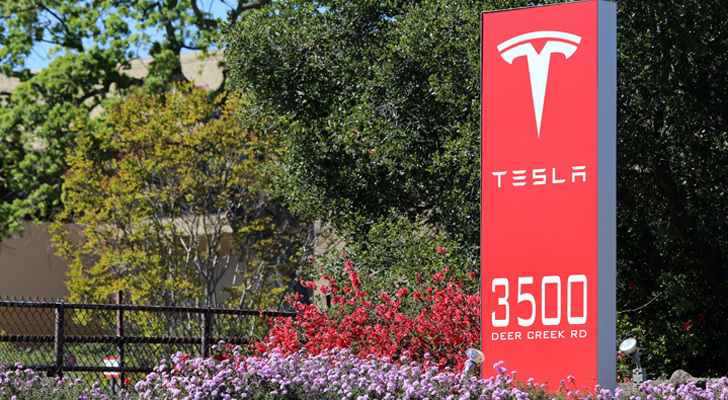 Why It Has Been Killed: Leading electric vehicle manufacturer Tesla (NASDAQ:TSLA) has actually performed much better than peers on this list during recent stock market volatility. A lot of this has to do with Model 3 production ramp in the United States and the fact that the company showed a sizable profit last quarter. But Tesla stock still isn’t at all-time highs, and perhaps the biggest reason why it isn’t is because of struggles in China, where tariffs have reportedly created a huge sales decline. Why It Will Bounce Back: For all intents and purposes, Tesla stock should trade at all-time highs right now. The company’s fundamentals have never been better. Model 3 production is ramping to mass market levels. Gross margins across the board are improving, and the company is finally starting to benefit from opex leverage, implying sustained and growing profits going forward. Meanwhile, all signs point to this company rapidly stealing market share from peers. The only thing holding this stock back is tariff concerns. But, those tariffs are coming down, and as they do, Tesla stock should go up. 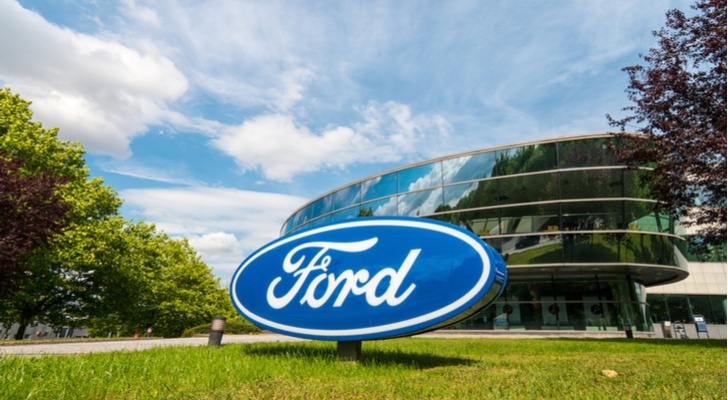 Why It Has Been Killed: Auto giant Ford (NYSE:F) has been a losing stock for a long time, but the stock’s retreat has accelerated recently as rate hike and trade war headwinds have picked up. The auto industry is one of the most rate sensitive sectors of the economy. Thus, as rates have gradually gone up over the past several quarters, auto demand has cooled. Meanwhile, the auto industry is also one of the most trade-sensitive sectors of the economy. Thus, as trade tensions have escalated over the past several quarters, Ford’s China business has entirely fallen apart. Why It Will Bounce Back: There won’t be any revival in Ford that boosts the stock back to all-time highs any time soon. But at current levels, the rebound thesis has merit due to a rate hike slowdown, de-escalation in the U.S.-China trade war and the stock’s super-cheap valuation. As such, so long as the Fed maintains a dovish tone and the trade war doesn’t get worse, Ford stock should outperform. Why It Has Been Killed: Chipmaker Nvidia (NASDAQ:NVDA) was once viewed by the market as the face of AI, and was therefore treated as a market darling. But that has changed dramatically over the past two months as the company’s growth has slowed due to the crypto bubble popping and trade headwinds threatening input costs and demand. Those issues came to a head last quarter, and the net result has been a 40% wipe-out in shareholder value in just two months. Why It Will Bounce Back: This stock will rebound because this company is still the “AI company” with broad exposure to all things AI, including cloud, machine learning, autonomous driving, and so on and so forth. All the market needs to re-value this company based on its AI potential is the right catalyst — and easing trade war tensions could be that catalyst. Trade war tensions have created cost and demand issues for Nvidia and other chipmakers. 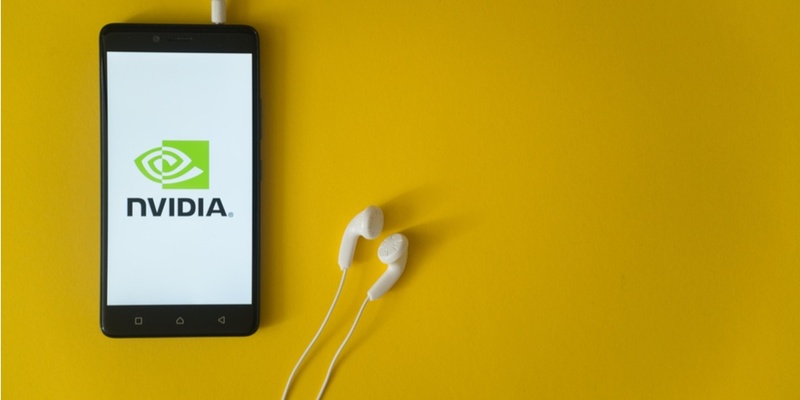 With those issues gone, that is one less thing for the market to be worried about, and one more reason for investors to buy back into NVDA stock. 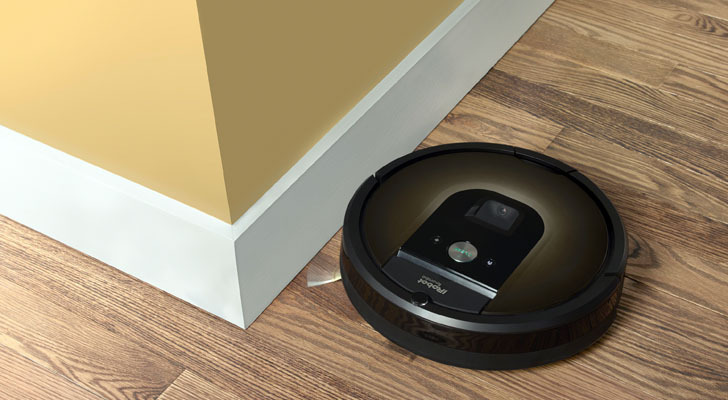 Why It Has Been Killed: Consumer robotics leader iRobot (NASDAQ:IRBT) is a big-growth company with a ton of trade exposure. As such, despite this company continuing to report robust growth numbers, the stock has struggled for gains recently because the prospect of bigger tariffs has threatened profitability. Specifically, last quarter, iRobot’s fourth-quarter earnings guide missed Street estimates by a mile because of tariffs pushing margins lower. Ever since that report, IRBT stock has been weak. Why It Will Bounce Back: The weak guide at the hands of tariffs is really the only thing not to like about this stock. This is a consistent 20%-plus revenue growth company with a leadership position in the nascent consumer electronics market that is oozing with global growth potential. Plus, outside of tariffs, margins have been consistently strong and improving, and that has powered steady 20%-plus profit growth. Thus, once you remove the tariff headwind, there’s a lot to like about this stock, and as such, this stock looks primed to rebound as trade war tensions ease. As of this writing, Luke Lango was long BABA, AAPL, WMT, TGT, CAT, AMZN, TSLA, and NVDA. Article printed from InvestorPlace Media, https://investorplace.com/2018/12/stocks-to-buy-trade-war-pause/.